A beach towel is the towel that is designed especially for use at the beach or pool. The materials used to make this item are heavier as compared to standard towels. These particular materials are capable of absorbing water from the body following a dip in the water. What is a beach towel that is good for you? Well, it can be a design that sparks and complements your personality or has materials that suit your needs. Beach towel is designed in a manner that it dries your body after a nice swim in the ocean or pool. It is pretty sizable; bigger than those you use in the bathroom. It has a larger size so that you can wrap your body with the towel and dry yourself or, on evenings by the beach, make yourself feel cozy and warm. There are larger sizes for adult use and there are also ones made for children that are smaller in size. Lots of beach towels for kids are made with features such as hood or belt so parents can wrap their kids in the towels and make them feel warm and snug as soon as soon as they are finished with swimming. These towels are available in a great selection of designs and patterns – from funky color patterns to cartoon character designs. They are made to feature vivid colors and patterns to attract kids’ interest. Many adult beach towels also come in a myriad of designs, colors and patterns. There are lots of adults who like having beach towels with loud colors and patterns to further beach vibes. There are also people who prefer a minimal look, and there are towels especially designed for folks who are into soothing designs. You can choose from a good variety of towels that will compliment your style and personality and pick one for your kids. You will never have problems choosing designs that go well with your needs. What is a beach towel without good maintenance? In order to make these items last, you have to practice proper care and maintenance. Wash beach towels in the same manner you clean your regular home towels. All you have to do is put them in the washing machine after each use and put them in the dryer right after. It is also a good idea to hang them on the clothesline on a sunny day to dry. There are, in fact, no special instructions for proper washing of these items. They are easy to take care of. All they require is a cleaning after use. Beach towels can be folded up easily. Fold them or put these items in the beach bag or your clothes cabinet for storage. You can also purchase one that comes with a carry bag. For safekeeping, you can fold these towels and put them in the carry bag or case. There are beach towels that are designed to be put on specific lounge chairs too. They are ideal for use in case you want to tan or enjoy the sun’s rays for a while. Just position the towel over your chair or you can tie the towel all over it. 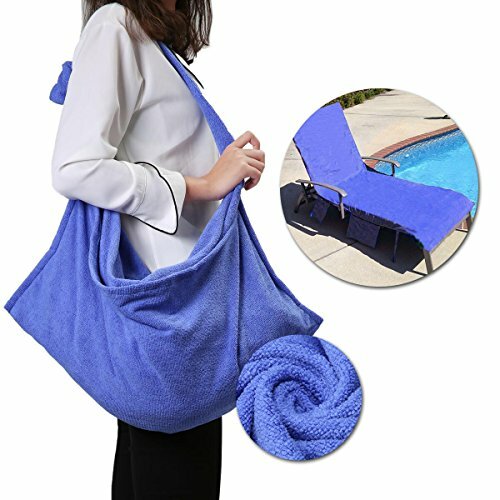 The towel will act as a barrier to keep you from sticking and sweating while being seated on the chair. Whether you want to enjoy the sun rays and water in Hawaii or plan on staying at Mexico’s finest beaches, you can always depend on a beach towel to make your experience more comfortable. What is a beach towel that will help you save up on costs? If you spend lots of time by the beach or have a big family, you can save up on beach towels by purchasing these items in bulk. Retail stores and departmental stores might not have lots of stock to supply orders and you would be required to pay full retail price. By purchasing in bulk, you can fill your whole order and get discounts and excellent deals. There are companies and organizations that have opted for this idea and even have their logos printed on them to use these towels for company outings. Personalized beach towels are also a great gift or party favor during office beach parties or picnics. Look for beach towels online and choose the kind you need. You can also compare prices, not just designs. There are plenty of sellers and companies online that have made their merchandise available so that you can easily order one and have it shipped within a few days. Some recommended products may use affiliate links. BeachesAndCoral.com is a participant in the Amazon Services LLC Associates Program, an affiliate advertising program designed to provide a means for sites to earn advertising fees by advertising and linking to Amazon.com. Amazon and the Amazon logo are trademarks of Amazon.com, Inc or its affiliates. Copyright © 2017 Beaches and Coral | All Rights Reserved.